For more than 25 years, The Nelson-Atkins Museum of Art’s Young Friends of Art have hosted Kansas City’s premier fundraising event for young professionals – Party Arty. Inspired by the museum’s exhibition “Napoleon: Power and Splendor,” Party Arty 2019 will throw orthodoxy aside to create an evening of extravagance, unrestraint, and rebellion. As one of five major museum fundraising events, money raised through Party Arty supports education efforts—introducing art to more than 70,000 school-aged children through workshops, cultural festivals, and community outreach initiatives, and helps maintain free access to over 500,000 visitors each year. Looking for a good deal? Buy your ticket early for the best prices and become a member for deep discounts and Member-Only Hour access! Your ticket doesn’t just support a great cause—it gets you access to an experience at the museum unlike any other. 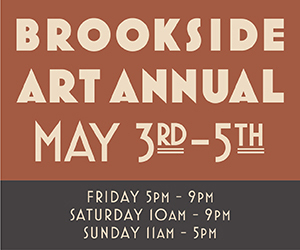 All attendees will enjoy live music and performing art, food from our favorite Kansas City restaurants, and an open bar all night long. The Young Friends of Art (YFA) is the longest running young professionals group in Kansas City, with more than 2,400 members representing the city’s future philanthropic leaders. Museum members get early access to tickets, discounted rates, and extra party time at Member-Only Hour on February 2nd. 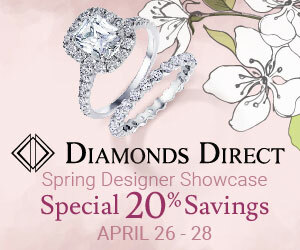 Diamonds Direct Spring Designer Showcase 20% Off!